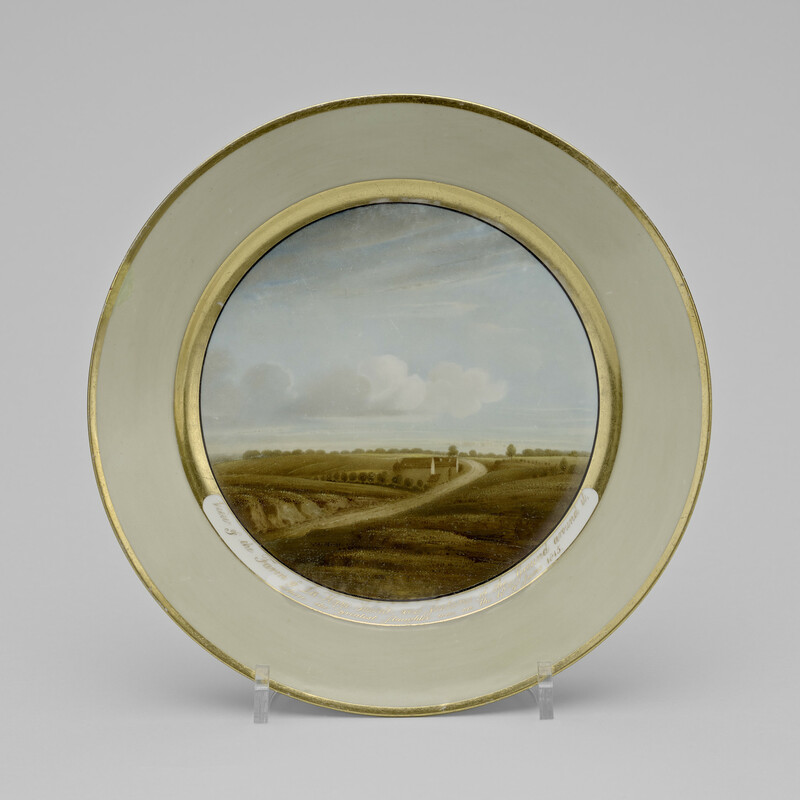 One of a set of circular porcelain plates. The centre painted with a view of the battlefield of Waterloo, green outer border with gilt lines. Gilt title on a white ground below the view '18 June 1815: view of the Farm of La Haye Sainte and features of the ground around it, where the greatest slaughter took place on the day of the battle'.